Died (date, year, place): January 6, 2018 in Port Moody, B.C. Born in 1942 in Winnipeg, MB, Norton played in 1,206 minor league games – including five seasons in Triple-A – before becoming a trailblazing baseball executive and scout in Canada. In the mid-1970s, Norton founded and established Baseball Canada’s Junior National Team and he became a long-time coach and manager for the organization, while doubling as a part-time scout for the Montreal Expos. 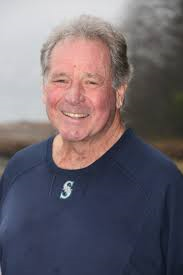 He also managed Canada’s Pan Am Games team in 1975, prior to helping to launch Baseball B.C. two years later. In the late 1970s, he was enlisted to create and write Baseball Canada’s first coaching manuals and many of the guidelines from those are still employed today.